Enhanced counter-terrorism measures help to protect lives, but unfortunately also reduce trade, our study shows. The costs of increased security measures are also not shared equally. While some costs are passed onto consumers, exporters and importers often bear the higher costs. Since 2000, there have been more than 72,000 terrorist acts causing nearly 170,000 deaths. In our study we analysed the impact of terrorism on trade in over 160 countries from 1976 to 2014. The effects of terrorism in one country spill over across national borders to reduce the trade of other nations. On average, each terrorist incident reduces trade by about US$6.4 million for each trading partner. The effect is also long lived; a terrorist attack can reduce trade over the next five years. One way counter-terrorism reduces trade is through time delays. Some security and counter-terrorism measures cause longer delays at airports, ports and borders and thereby increase the time it takes to trade. Food products are particularly vulnerable to shipping delays and the disruption of supply chains that arise from tighter border controls. Trading delays can be very costly. One study shows trade is reduced by more than 1% for each additional day it's delayed. Counter-terrorism measures also increase charges and transport costs. Transport costs in particular are critical for trade. Terrorism has led to higher security surcharges at ports and airports and higher insurance premiums. Requirements for businesses to report suspicious transactions cause delays, also increasing trading costs. After the September 11 attacks in the US, many nations applied stricter counter-terrorism measures to combat money laundering and the financing of terrorism. These measures add to the cost of importing and exporting. Some of the individual cost components may be relatively small. For example, anti-money-laundering compliance costs in Australia are pretty insignificant. Nonetheless, all these delays and charges add up. 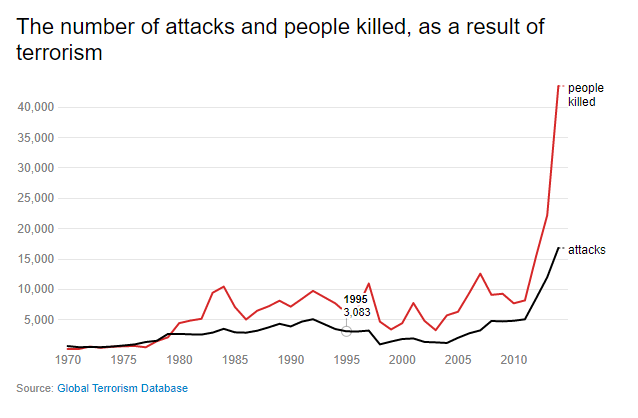 As the OECD points out, doing nothing about terrorism is not an option. Preventive security measures are indispensable to secure trade, infrastructure and lives. However, some counter-terrorism measures are effectively non-tariff barriers that do more to protect specific industries than to protect people. That is, some security measures have a similar effect to tariffs, in that they divert trade from lower cost overseas producers, to higher cost domestic producers. And some measures are ineffective. For example, a key objective of counter-terrorism policies to control money-laundering is to choke off external funding for terrorists. However, some terrorist groups, most notably insurgents in Iraq and ISIS, are largely self-financed. Our results also show that terrorism has a greater adverse effect on trade in sub-Saharan Africa in particular. This region is particularly vulnerable to terrorism due to governance problems such as corruption. Ironically, this region is especially in need of the benefits of trade to improve governance and institutions. Our study also shows terrorism reduces trade by diverting government attention from trade liberalisation and reform. Promoting trade is an even more difficult task in an era of accelerated terrorism. Trade spillover effects created by terrorism highlight the importance of co-ordinating counter-terrorism measures between countries. However, this also requires greater co-ordination between policies. Trade can play an important role in curtailing terrorism by bringing nations closer and fuelling economic prosperity and development. 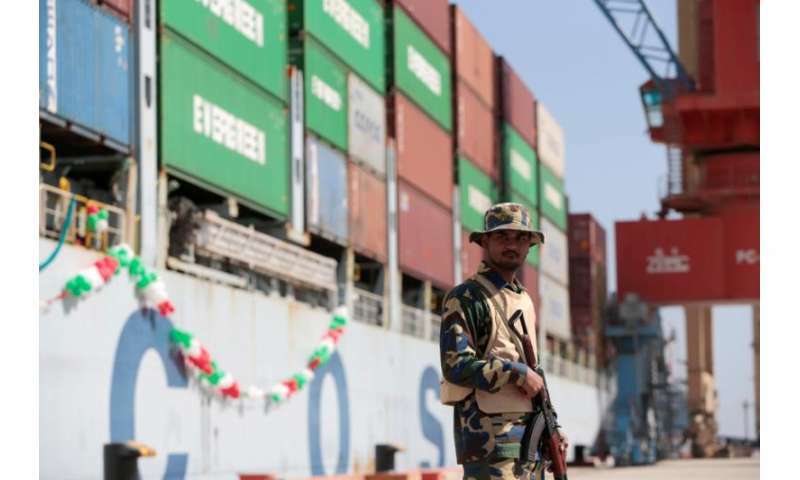 Combined with other economic policies and strategies, greater co-ordination between security and trade policies can increase safeguards while lowering trade barriers. It can also offset the higher trade costs that result from extra security measures. By reducing trade, counter-terrorism policies inadvertently drive a wedge between nations and make nations poorer. Making countries poorer in turn makes it harder to combat terrorism.